If you missed the Royal Wedding, here’s what really happened. 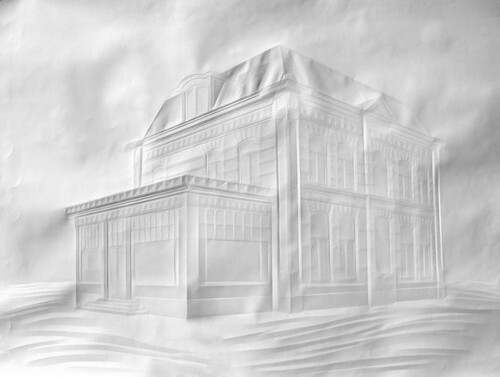 An image not drawn or painted- just folds in paper! By the German artist Simon Schubert. Thanks to Janice for sending me the link. For the 10 years through Apr. 22, the shares delivered a total return of -7 percent while the S&P 500 returned 30 percent. Comparing it to Apple makes it even worse. (10 year graph- Microsoft is the flat red line). My websites got hacked over the weekend and the first thing that I did was to change all my passwords to something stronger. I have no idea if it was the passwords that were compromised, but at least it made me feel better doing something. After my flurry of password changes, I was facing passwords that I had to cut and paste to login like xBEP7xf19!M. I was talking to my friend Dale and he suggested this article about creating passwords using a combination of three words that you can remember. Using three uncommon words creates a password that is nearly unbreakable. Sounds a lot better than the password I created. Check out the slide show in the article. Amazing stuff. 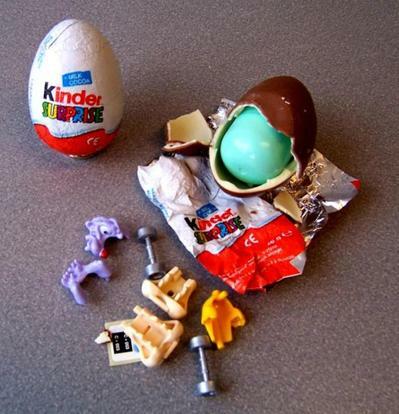 I bought one of these eggs several years ago and I was immediately impressed with how high quality the toy is. Much better than the typical freebies that you get in cereal boxes here. That’s part of the reason why it’s developed a following for adults everywhere else in the world. I think if the product is clearly labeled, not for under age 3, it should be sold in the United States. CNN.com: Riled about rail: Why all the anger over high speed trains? Much of the opposition to rail projects appears to stem not from economic arguments, but from fundamental cultural values on what “American” transportation should be. For some reason, the American public doesn’t understand that if passenger rail is socialism, then so is having roads. I think Invader’s works are whimsical and fun. But, arrest is part of the risk of being a street artist. But thanks to information in spray charts that indicate where a batter is likely to hit a ground ball, the Brewers are taking infield shifts to a different level, sometimes to the extreme. For example, the Brewers’ infield shifted against the Nationals’ right-handed batters Jayson Werth, Michael Morse, rookie catcher Wilson Ramos and Rick Ankiel, a lefty. I think that this is not likely to work. Spray charts are charted balls in play with the defense in a traditional position. The spray chart is most likely to change against a different defensive alignment. Once an extreme visible shift is made, most good players should be able to hit the ball the other way to take advantage of an opportunity. Early in March, The Domino Project published Seth Godin’s Poke the Box. We Immediately received stories about people taking initiative in their own lives – doing things differently at work or with their families, taking initiative in places they were scared to. Prompted by the number of inspiring stories we received, we launched Tales of the Revolution, profiling examples of passionate self-starters who regularly went above and beyond to make a difference by doing. This free Kindle edition is a sampling of the hundreds of stories we received. Each one could be just the right inspiration for you to keep poking. The Domino Project April, 2011.